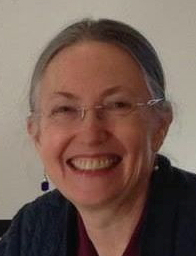 Mary Hendricks-Gendlin, former Executive Director of The Focusing Institute, passed away on March 28. Mary was a beloved leader in Focusing and is being mourned by her husband Gene, her daughter Elissa, and all of us who knew and loved her. She was full of compassion and had a heart for justice, and believed that Focusing was an important force for peace in the world. Mary conducted workshops and lectures on Focusing-Oriented Psychotherapy throughout the world and maintained a private practice for thirty years. She received her client-centered training at the University of Chicago and was one of the founders of CHANGES, a community therapy network where she trained clients, students, and therapists in listening and focusing, and participated in developing training materials. She interned at the Post-Graduate Center for Mental Health in New York City, and then worked as a psychologist-trainer in the New York State Hospital system. She was a core faculty member at the Illinois School of Professional Psychology in Chicago for ten years, where she established and taught the Experiential/Client-Centered specialization. In honor of Mary, we invite you to pause. Perhaps during that pause you will give thanks for those who have been blessings in your life, as Mary has been in ours. You might wish to read the tributes to her from the Focusing community and to add your own and also to read her article "Focusing as a Force for Peace: The Revolutionary Pause." Plans for a memorial service are still being made. Please check our website and our Facebook page for updates. All are welcome to attend. At its monthly meeting on April 8th, the trustees of the Focusing Institute marked Mary's passing with a period of silent remembrance. On Tuesday, the International Leadership Council will do the same at its meeting. As our Executive Director for almost two decades we owe Mary an immeasurable debt of gratitude. Mary gently but firmly guided the growth of the Institute in keeping with her deep commitment to values such as diversity, inclusion and non-standardization. 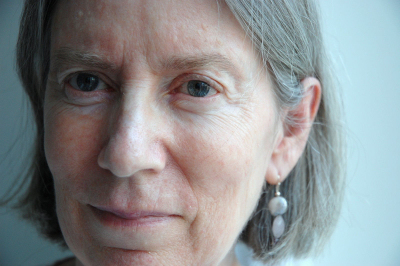 She brought not only her deep understanding of Focusing theory and practice--including Thinking at the Edge and the Philosophy of the Implicit--but also her special sense of the Institute's social mission to propagate "felt sense literacy" around the globe for the healing of suffering and dissolution of conflict. Mary has been Gene Gendlin's collaborator, protector, and deeply loyal companion and for this too we express our profound appreciation. 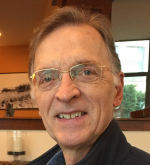 Catherine Torpey, who as Executive Director carries forward Mary's passionate leadership of the Focusing Institute, has visited personally with Gene and conveyed to him our shared sorrow and care. We only wish that each of us were close enough to visit with him ourselves. We extend our deepest sympathies to Gene and their daughter Elissa, as well as to all of you who knew and loved Mary or who gained from her teaching and leadership. We hope that the work we do together will be a fitting tribute to her life of service. The deaths of Mary Hendricks and Janet Pfunder come exactly a year into my tenure as Executive Director. I had looked forward to gaining from their wisdom for many years, but alas, that is not to be. Their passing makes me reflect a bit on where the Institute is now, a little over a year after Mary officially stepped back. In her article "Focusing as a Force for Peace: The Revolutionary Pause," Mary wrote, "When a person can pause and go inside and say what is 'my sense' of this situation, that is the thing that makes them less vulnerable to oppression." I had a vigorous discussion recently with a small group of friends. We were debating political systems: what are the most effective, just ways of organizing societies and making group decisions? We discussed consensus decision-making and we each had stories about frustrations with groups which could never move forward, out of what seemed like mis-guided attempts to proceed by consensus. "One of the many things I love about Focusing," I chimed in, "is that when Focusers get together, whether at the Summer School, or during a meeting of the Board or Council, the practice of listening to one's own inner wisdom seems to create a capacity to listen for the inner wisdom of others." Asked for an example, I spoke about how often I have observed a group of Focusers reach near-consensus, only to have one person admit to a little niggling feeling that something isn't just right. Over and over again, with grace and genuine curiosity, I observe the group of Focusers give time and space to that murky niggling. There is a deeply held confidence that doing so will allow the niggling to become clearer and will add valuable insight to the decision being made. This is, indeed what I have witnessed this past year with the Board and the International Leadership Council (ILC). In these two bodies, there is great respect among the members for one another and for the Felt Senses that each individual brings. The Board's work has been somewhat more straight-forward than that of the ILC, because its existence and duties are defined by US law. The ILC's role in the Institute is more murky and, in good Focusing fashion, we are only beginning now to find some clearing as we give it all time and space to emerge. As clarity has emerged over this past year, I find that the Institute is strong, vital and very alive. More and more connections are happening among you, around Children Focusing, around bringing Focusing to areas of the world hit hard by trauma, and around building the culture of peace that Mary Hendricks wrote about. This year of transition has made our financial position quite a bit shakier than it had been, but the basic health and strength of this community makes me confident that our finances will bounce back. The passing of Mary Hendricks and Janet Pfunder, both in March, remind us that Focusing is about more than just feeling better inside; when we pause to sense inside, we gain a capacity to be with one another in ways that are profoundly more compassionate, just and meaningful. It is all about connection: with ourselves, with those around us, and with the wisdom and love that connects us all. In March we lost another great Focuser, Janet Pfunder. 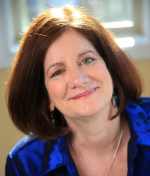 Janet was a Focusing-Oriented Therapist in Park Slope, with thirty years of experience in private practice. In addition to teaching Focusing, she also led dream groups, creativity workshops, and Sufi workshops. Her paper “Sufi Meditations on Psychotherapy” was published in 2005 in Psychotherapy and Religion: Many Paths, One Journey. Her paper “Colors of the Invisible: Sufi Healing” was published in 2008 in WomanSoul: The Inner Life of Women's Spirituality. 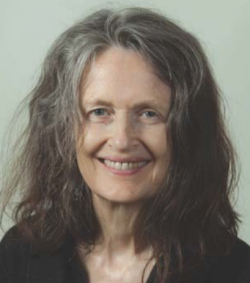 She was a teacher and supervisor for the FORP (Focusing-Oriented Relational Psychotherapy) Programs, created by Lynn Preston, in both New York and Cape Town, South Africa. Also a painter, her most recent one woman show was at Harvard as an alumna. Some of her work can be seen here. A memorial service for Janet will be held at The Poet's House in New York City at 5:30pm on Sunday, April 19. The Focusing Institute is deeply grateful for all that Janet did for Focusing throughout the years. 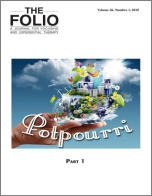 The 2015 Folio is a diverse and exciting collection of applications and integrations of Focusing. Articles delve into bodywork, restorative process, Focusing-Oriented Psychotherapy, spirituality, community wellness and more! You'll want to carry it with you everywhere you go -- and now, you can have either the traditional paperback bound Folio or a Kindle edition so that you are never without your copy. Enjoy the reflections, the learnings and the wisdom of your fellow Focusers and read what everyone is talking about. Order yours here. 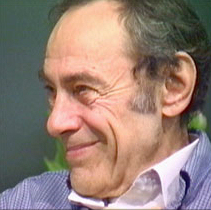 In the January Focusing Conversation Serge Prengel and Ann Weiser Cornell discuss Ann's approach to Focusing, and how it has evolved. In the March Focusing Conversation Serge Prengel and Helene Brenner discuss Focusing and finding your inner voice. These conversations are part of the "Conversations" series hosted by Serge Prengel. We're excited! We're doing a live phone seminar with all five Focusing Institute Summer School (FISS) teachers live on the call. Each will offer an experiential exercise on a different angle or application of Focusing related to what they will be presenting at the summer school. On the phone for free! Do join us and do tell your friends! Beginners and experienced alike will take home "gems" from this one hour live call. Join us on Monday, April 13 at 2:00 PM Eastern time, 1:00 PM Central, 11:00 AM Pacific, 7:00 PM UK and Ireland, 8:00 PM rest of Europe ... for a FREE one-hour phone seminar with FIVE master teachers of Focusing who will each bring you an experiential Focusing "gem" to enhance your life immediately. BRING YOUR FRIENDS! This is a FREE phone seminar that is full of practical, helpful tips and actual felt experiences. After one hour you can expect to feel inspired, energized, grounded, hopeful, with a sense of new possibilities for your life. Dear Focusers: We Trustees have been hard at work trying to make a healthy and promising transition from an Institute with Gene Gendlin as the central figure and leader, to an organization that will thrive in perpetuity to disseminate Focusing and the Philosphy of the Implicit. This is challenging. We have been working at clarifying the current status of the organization with its many strengths and many weaknesses. This involves reconsidering how we are structured, and developing better ways to incorporate the wishes of our members, teachers, and coordinators. We also wish to determine how to best build and sustain mutually rewarding relationships to other Focusing organizations operating around the world. Catherine, our Executive Director, is working closely with us toward these ends. One of our projects has been to attempt to carefully discover new arrangements that are legally correct, fiscally responsible, and also fair and caring, in the financial relationships with the Gendlins. We are fortunate to have Gene continuing to make various important contributions to The Focusing Institute. Since Mary Jennings wrote in the December newsletter, the Trustees have been working with a “Strengths, Weaknesses, Opportunities, and Threats” (SWOT) method to further clarify where we stand and where we want to be going. We are inviting the ILC members to apply that method too, and then for the Trustees and the ILC to come together to share resulting insights. Our goal is to shape the Focusing Institute in a way that is gratifying for as many of our community as possible. Personally, I’m eager to arrive at a clearer felt sense of the shape and direction of the Focusing Institute and its mission. I feel we are slowly but steadily taking steps toward that end. I’m pleased and honored to be working with the Trustees and with Catherine. These are a talented group of people who love Focusing, and who share a desire to be as transparent and inclusive as we can be, to effectively serve the worldwide community of Focusers. Forty feisty, opinionated, volatile, caring, passionate people from around the world all in one room. That was what I was walking into with my handful of coloured cards to see if I could help us find a way forward in a difficult and complex situation. Kind of daunting. I remembered how useful they had been for the British Focusing Association during our meetings, so I took a deep breath and faced the room. My first words were, "This is not about democracy. This is not about majority rule. This is about listening to everyone in the room. This is about including everyone's point of view. This is especially about welcoming and carefully listening to disagreement. In each point of view there is something that we need to take into account to make good strong decisions." I held up five coloured cards: pink, green, orange, red and blue. Each of them had words printed on them: Pink: I have a proposal; Green: I agree; Orange: This needs more discussion; Red: I am not willing for this to go ahead; Blue: I need someone to listen to me. We handed out a set of cards to every participant and we began. For three days we talked and discussed and shared and used the cards to find our way forward. We quickly grasped as a group the power of carefully listening to and including opposition, doubt, suspicion and wariness. When an orange or a red card was held up, we would easily be able to see that there was someone over there that needed attention and could turn towards them with curiosity and welcome. Over and over again, as someone's concerns were addressed, further proposals would arise that were more subtle and nuanced than anything that had been suggested previously and that included and took account of their concerns. In the ensuing discussion, what people hoped would happen if a proposal was adopted became clearer and more articulated so that everyone in the room began to find true common ground. And from that shared understanding the actions taken to make that happen became more flexible and creative. As long as there were red or orange (or blue) cards in the room, we continued to listen to concerns and fears. As people were heard, red and orange cards turned to green ones. And then came a moment when the room 'turned green'. A sticky situation with a multiplicity of views had generated a proposal that was agreed by everyone in the room. Without compromise. One of the things I found out was how important it is to state what the issue is clearly and to formulate action proposals with care. I learned how vital it is to make sure that everyone understands what the issue is and what the proposal means (especially important when there are language issues). I learned that until an issue is clear - everyone knows and agrees what the problem is, that discussing a proposal is a waste of time. I also learned that it can be easy to turn towards orange and red cards with curiosity and even enthusiasm. And I learned that we needed a couple more cards to make the deck complete. We needed a way to pause the action when things got heated or off topic so that we could reground and centre ourselves. And we needed to be able to show that we had a question when we were confused or needed something clarified. So I have added two more colours: White for Pause and Yellow for I have a question. • Blue: I need someone to listen. This can either mean that I need someone to listen to how this issue is for me or I need some Focusing-style listening because feelings are arising. I was introduced to this system of using coloured cards by Fiona Parr. Since then they have been used in the British Focusing (Teachers) Association for two years with great success. They have been used at the Certifying Coordinator's Assembly in New York in May, 2014 where there were about 40 participants from around the world. And I have been using them in my own family at our 'house meetings' – hugely helpful. One thing I would suggest, if you decide that you want to try using the cards is to make a set for everyone, and then have some extra sets of cards for those times when people lose them or forget to bring them to the meeting. You might also attach them together in some way. We also had people put their names on them. In our house meetings everyone has an envelope with their cards in them and that seems to work. This is not democracy where the majority rule and the minority feel disempowered. This is about listening carefully to different points of view, to welcoming and championing dissent and diversity of opinion. This is about finding a way forward that is satisfactory to all of the people participating in the decision. Something that is often levelled at consensual decision-making is that the decisions made become the lowest common denominator - full of compromise. Another thing that is often said is that it will take too long to come to an agreement. Neither of these needs to be true - in fact, in my experience, it can be the exact opposite of that. Real, strong, creative decisions that everyone can stand behind can be made rapidly and respectfully. 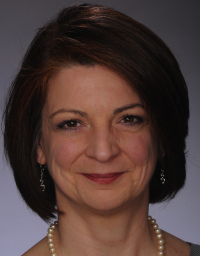 Barbara McGavin is a member of our International Leadership Council (ILC). The ILC uses Spectrum Decision Making at its biweekly videoconference meetings with great success. November 6-12, 2015 at Garrison Institute in Garrison, New York. The Advanced and Certification Weeklong is something like a potpourrie, as colorful and bright as the flowers on the cover of the Folio. The Weeklong celebrates cultural and Focusing diversity in an intimate setting of advanced Focusers. The International Team's workshops include introductions to Classic Six Step Focusing, Inner Relationship Focusing, Domain Focusing, BioSpiritual Focusing, and workshops related to Whole Body Empathy, Interactive Focusing, Community Wellness Focusing, Recovery Focusing, and Thinking at the Edge. We know that we will have a substantial group of Focusers from China who will attend and we anticipate another very international group. Coordinators Peter Cheung from China and Jan Winhall from Canada will be leading Home Groups (which we called "Processing Groups" in the past), working alongside our incredible Facilitation team of Tomeu Barcelo, Aaffien de Vries and Suzanne Noel. Any Focuser who is advanced in their work as a Focuser is warmly encouraged to attend. If you are being certified this year, you'll love the special certification ceremony that honors your achievement. We want all our Coordinators to join us as well! Don't miss this potpourri of Focusing connections and crossings. 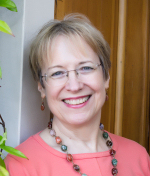 Starting in May, 2015 in New York City with Charlotte Howorth, LCSW. This course is intended for beginners and has no pre-requisites. Wednesday July 29 to Sunday Aug. 2, 2015, with a Certifying Coordinators' meeting before, July 27-28, 2015. We will meet on the Seattle University campus. The campus is invitingly landscaped on a hill in a city surrounded by mountains and water. SeaTac International Airport is close by. Taught by Nada Lou starting August 7, 2015. Three weekends in New York City. Four months of partnershipping with other participants. A lifetime of ideas! August 14-20, 2015. At the Garrison Institute, Garrison, NY. Registration now! Early bird discount until June 11, 2015. A 4-month interactive webinar in Thinking at the Edge (TAE) with Mentors Beatrice Blake and Evelyn Pross. Starting September 2, 2015. A focusing-oriented dreamwork intensive from September 18-20, 2015 with Leslie Ellis, Ph.D in New York City. 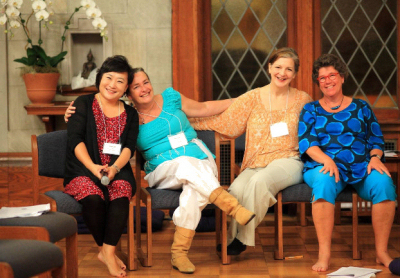 The 2015 Northeast Regional Focusing-Oriented Therapy Gathering will take place on October 9-11, 2015 at Mercy Retreat Center by the Sea in Madison, CT.
Register now! Early bird discount until June 30, 2015. 3/2015 Carl Rogers was Gene Gendlin's colleague and friend at the University of Chicago. Watch this delightful talk that Rogers gave in 1974. 1/2015 How I Teach Focusing: Discovering the Gift of Your Inner Wisdom by Bebe Simon (Author), Rosa Zubizarreta (Contributor) New book in the TFI store. 1/2015 December 2014 In Focus Newsletter is now on the website. 12/2014 The Board of Trustees and the International Leadership Council have their own, new pages on our website. 12/2014 We are retiring our old phone number, which has served us so well. Beginning immediately, please call us at (845) 480-5111. The old number will work for only a short while longer, so please update your address book now! Join our Discussion Lists and Forum! Where is Focusing needed, and what do you need to take it there? Please go to the Forum for Exploring Our Future and share your answer to this question under the topic 'Hopes, Dreams, and Visions for Focusing In the World.' If you aren't yet signed up for the Forum, you can access it via our website under 'Felt Community', titled 'Forum for Exploring Our Future'. There are detailed instructions there for how to sign up. It's open to all members of the Focusing Institute.